Jack brings us these two images from Seattle, USA. 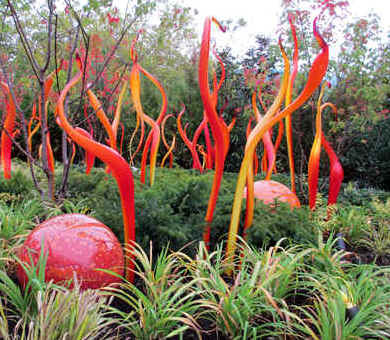 They are glass sculptures by Dale Chihuly; not actual succulents you understand, but we think we know what the artist had in mind. 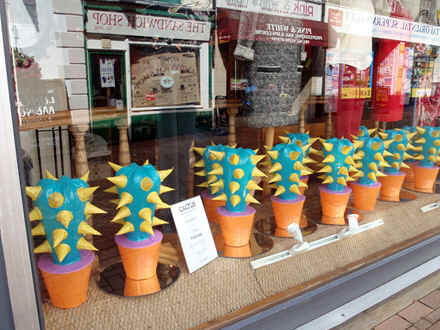 On the left is a shop window in Banbury snapped by Roland full of easy maintenance cacti. I always thought that Banbury was such a tasteful shopping area. 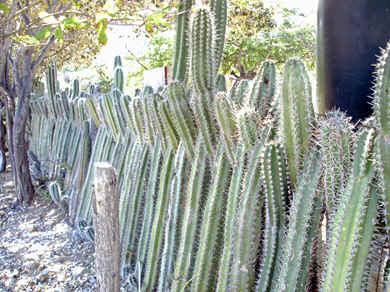 Finally the Rixons saw this fence in Bonaire, a Caribbean island. 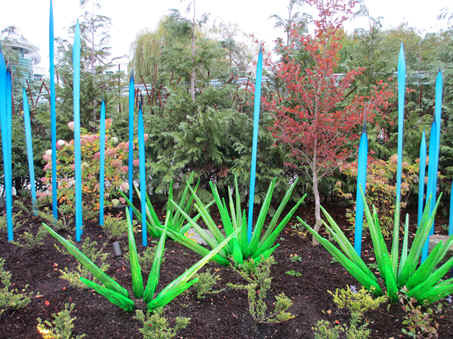 A novel use of cereioid cacti and pretty effective.